Making the perfect Background is critical! 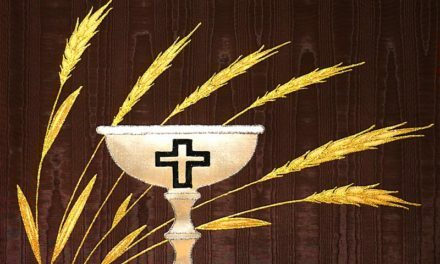 How do you get the church banners you want? 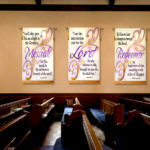 Here’s a list of the types of church banners you’ll find as you travel the internet, and their pros and cons. Printed Vinyl – These are great for outdoors. When you need to promote a VBS or a special occasion at your church like Christmas / Easter programs, these are perfect! Not recommended for inside church banners other than a short-term promotion due to the fact that the look a little cheesy to be in the sanctuary. 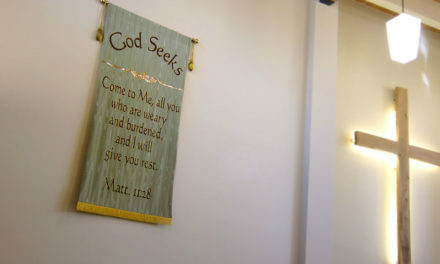 Printed Fabric – These church banners are fairly inexpensive and you can print pretty much whatever you want on them. 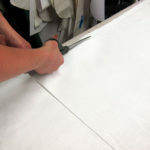 They are single layer fabric with just a rolled hem all around and need to be pulled tight by a stand. That’s where they get expensive. A stand for these banners can be anywhere from $50 to $200 each, therefore it is important to consider the total cost. 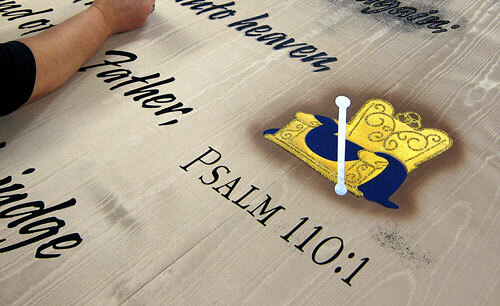 Embroidered – Machine embroidered church banners are the Rolls Royce of the banner world. This is the way banners were made in times past, and still are by some companies. However, they are very expensive! A professionally made 48 inch by 24 inch banner can run about $1,200. 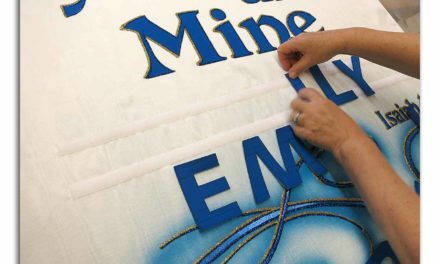 Even if you have very talented seamstresses in your church who you think can do this kind of job, they will most likely tell you all about the problems, with fabric puckering and machine stress in making these types of banners. 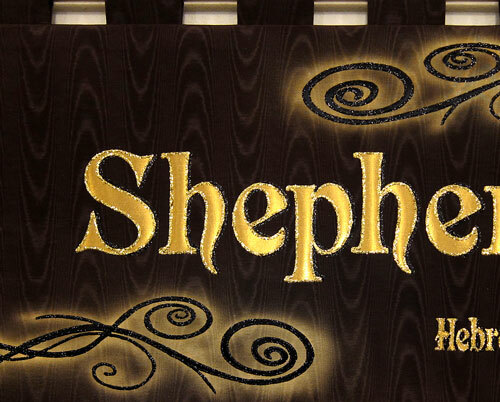 Embellished – This has the attributes of the embroidered church banner, but uses modern materials and construction to cut production time and achieve stunning effects, therefore it may be the best of all options. 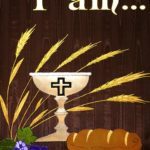 What is the best Church Banner? We will spend more time talking about the embellished church banners since that is our area of expertise. The main difference you’ll notice when viewing an embellished banner is in the different fabrics and materials used, and how these elements reflect and react to the ambient light in the room. Ambient light is not direct light, but indirect. 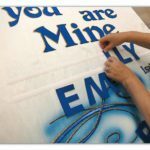 These banners can “come alive”, when a printed banner, which may have a beautiful graphic, will appear “flat”. Usually the only sewing that goes into the embellished banners is in the background itself. There are varying degrees of quality with embellished banners. Two factors are involved here, first the quality of the materials. Most noteworthy, top quality materials hang better, wear better, show better, and cost more. 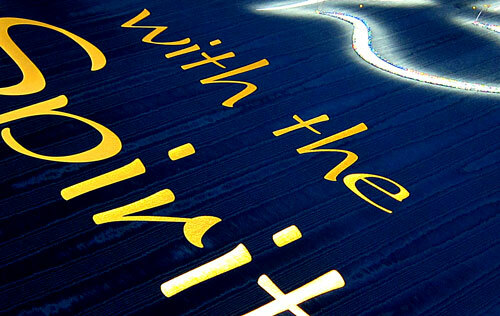 Equally important the care, methodology, and expertise of the workers who make the banner. In our experience it takes years to become a master banner maker… and that’s if you are mentored by a master! An Embellished Church Banner can last for many years. 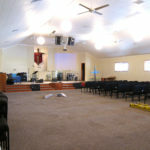 We have customers that set-up and take-down every Worship Service year in and year out. 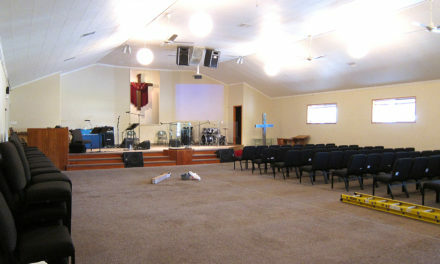 Church Banners that we made in 1995 still look great. 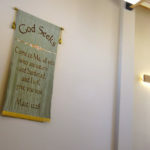 You can check out some of our current offerings at our Christian Banners site. Proper storage and handling are important, and we look forward to a future blog to explain how to care for your banners. 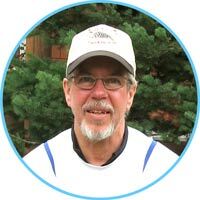 Did you catch part 1 of this story? 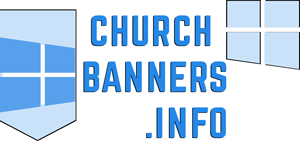 I am co-owner of Christian Banners for Praise and Worship. 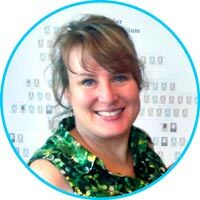 I am the design and color coordinator and have been sewing and designing since I was 12.